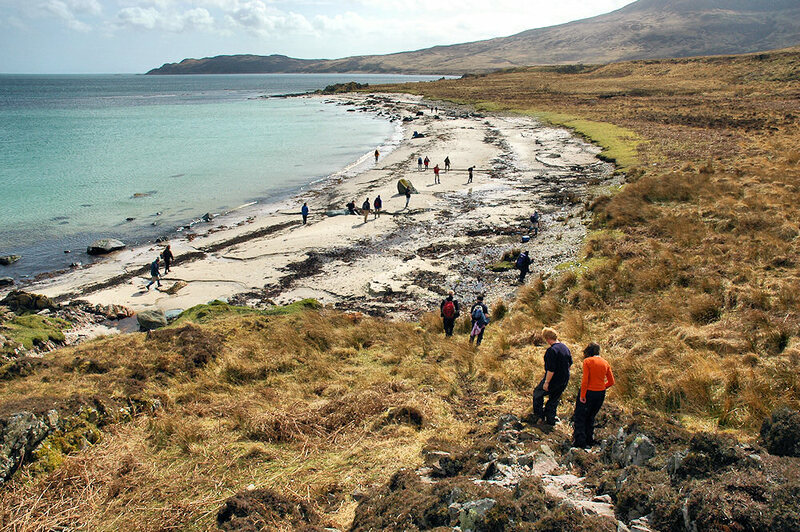 After a visit to McArthur’s Head Lighthouse during the Islay walking week the walkers are on their way back to Proaig, later on returning to Ardtalla where the walk started. This entry was posted in Beaches, Cloudy Weather, Landscape, Repost, Sunny Weather and tagged Islay, Proaig by Armin Grewe. Bookmark the permalink.